Blythe and her very best friends – Zoe the spaniel, Pepper the skunk, Sunil the mongoose, Russell the hedgehog, Penny the panda, Minka the monkey and Buttercream the bunny – are back for five more exciting, not to mention hilarious, adventures! Plus, you’ll get a chance to meet some new friends, like a shy tortoise, a spying cat, a famous comedian orangutan, and Pepper’s new crush! Who could it be? Find out with Blythe and the gang in The Littlest Pet Shop – Pet Shop Pals! The Littlest Pet Shop is such a great show. Not only are all the pets adorable in the show, but I love all the bright beautiful colors, the story line and all the catchy songs in this show. After watching the show, we tend to get the songs stuck in our heads and sing them for days. My daughter has loved Littlest Pet Shop for years. She also loves fashion and all the adventures Blythe and her pet friends go through. The latest DVD: Pet Shop Pals includes five great adventure episodes that introduce a few new characters to love. What I love most about this show is how much they teach you about being a good friend. If you have a child that's a fan of the toys, they will absolutely love seeing their favorite characters on their television screen. Pet Shop Pals is now available on DVD for you to own. Just Us Girls has teamed up with the Shout Factory to give two of our amazing readers a chance to win a copy of Pet Shop Pals on DVD. Just leave a comment below telling us your child's favorite character from The Littlest Pet Shop! Disclosure: All opinions are my own. 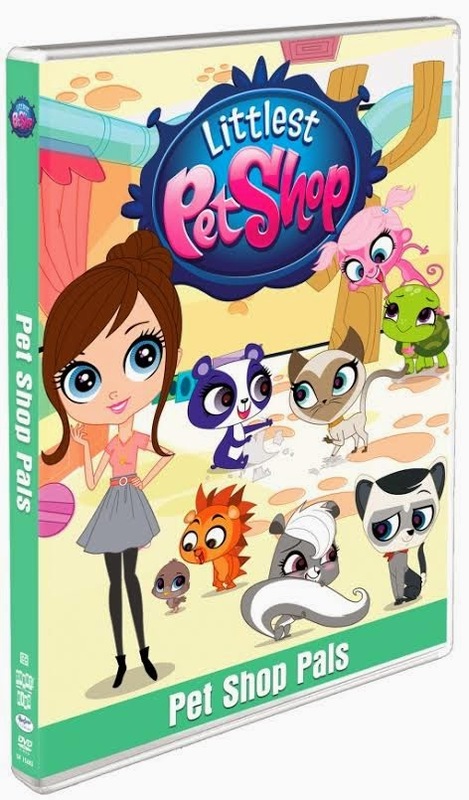 I received Littlest Pet Shop: Pet Shop Pals on DVD at no cost for the purpose of this review. No other compensation was received.